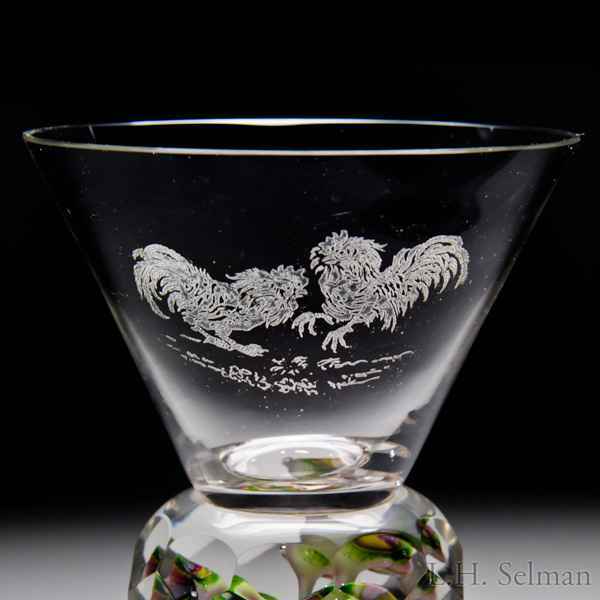 Unidentified antique, possibly Bohemina-Czech Moser, engraved roosters and trumpet flower faceted vessel. A conical vessel, engraved with a coq fight scene, sits above a multi-faceted round neck, with a trio of multi-colored upright trumpet flowers and leaves over frit ground, on a thin clear foot. Diameter 3 1/8", height 3 5/8".